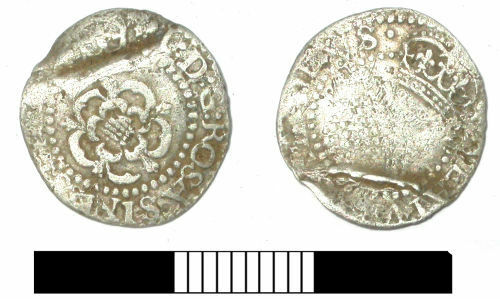 A halfgroat of James I with a lis mark for 1604-1605. A halfgroat of James I, 1604-1605. A silver halfgroat of James I, 1604-1605.